8 Tips to handle Manipulative People - Something New Everyday! 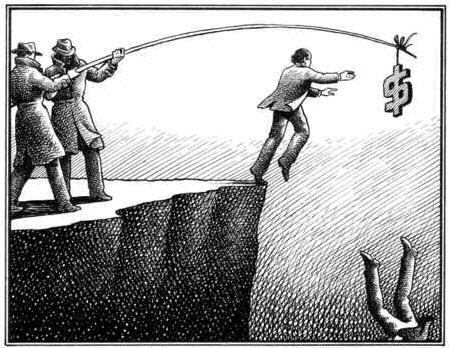 "There are those whose primary ability is to spin wheels of manipulation. It is their second skin and without these spinning wheels, they simply do not know how to function." Psychological manipulation can be defined as the exercise of undue influence through mental distortion and emotional exploitation, with the intention to seize power, control, benefits, and privileges at the victim's expense. Root causes for chronic manipulation are complex and deep-seated. But whatever drives an individual to be psychologically manipulative, it's not easy when you're on the receiving end of such aggression. How can one successfully manage these situations? Here are eight keys to handling manipulative people. Not all of the tips below may apply to your particular situation. Simply utilize what works and leave the rest. Of course, our society is full of people who do not respect these rights. Psychological manipulators, in particular, want to deprive you of your rights so they can control and take advantage of you. But you have the power and moral authority to declare that it is you, not the manipulator, who's in charge of your life. Are this person's expectations and demands of me reasonable? Your answers to these questions give you important clues about whether the "problem" in the relationship is with you or the other person. For more in-depth information on reducing or eliminating over fifteen types of negative attitudes and feelings, see my book (click on title): "How to Let Go of Negative Thoughts and Emotions (link is external)." "Does this seem reasonable to you?" "Does what you want from me sound fair?" "Do I have a say in this?" "So, what do I get out of this?" "Are you really expecting me to [restate the inequitable request]?" When you ask such questions, you're putting up a mirror, so the manipulator can see the true nature of his or her ploy. 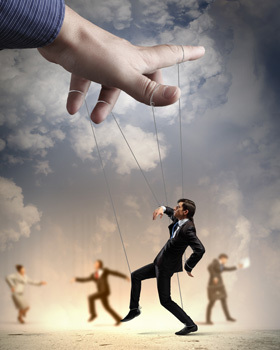 If the manipulator has a degree of self-awareness, he or she will likely withdraw the demand and back down. To learn more specifically about how to deal with narcissists, see my book (click on title): "How to Successfully Handle Narcissists (link is external)." To be able to say "no" diplomatically but firmly is to practice the art of communication. Effectively articulated, it allows you to stand your ground while maintaining a workable relationship. Remember that your fundamental human rights include the right to set your own priorities, the right to say "no" without feeling guilty, and the right to choose your own happy and healthy life. In (click on title) "How to Successfully Handle Manipulative People (link is external)," I review seven different ways you can say "no," to help lower resistance and keep the peace. When confronting bullies, be sure to place yourself in a position where you can safely protect yourself, whether it's standing tall on your own, having other people present to witness and support, or keeping a paper trail of the bully's inappropriate behavior. In cases of physical, verbal, or emotional abuse, consult with counseling, legal, law enforcement, or administrative professionals. It's important to stand up to bullies, and you don't have to do it alone. When a psychological manipulator insists on violating your boundaries, and won't take "no" for an answer, deploy consequence. The ability to identify and assert consequence(s) is one of the most important skills you can use to "stand down" a difficult person. Effectively articulated, consequence gives pause to the manipulative individual, and compels her or him to shift from violation to respect.